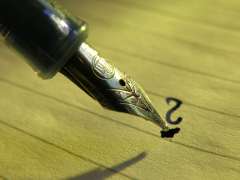 Get in touch with the basic characteristics of scientific writing. Experiences will be documented in the Wiki in german. Writing Assignments will be published as *.odt Files at the GitHub Repository and are licensed under Creative Commons by. Experiences will be blogged.